Apple has released the second beta version of iOS 12 to iPhone and iPad users who are testing the next generation iOS system software release. 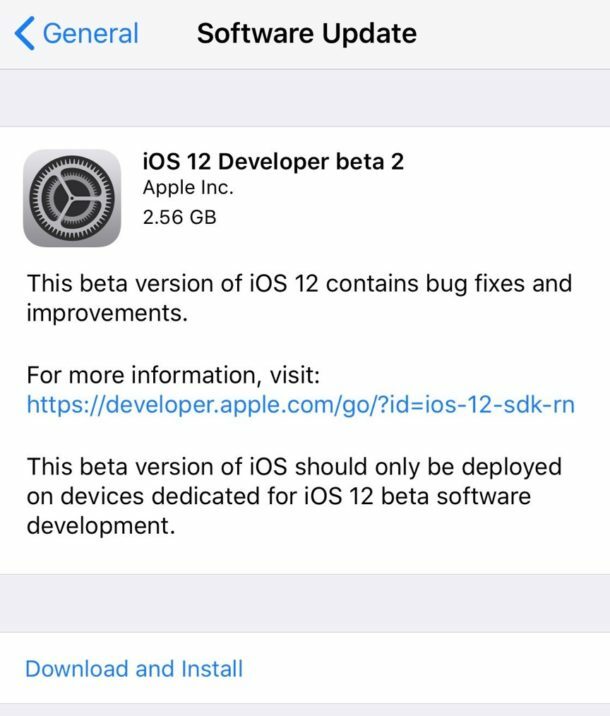 iOS 12 developer beta 2 is available to download as a software update now on any compatible iPhone or iPad enrolled in the dev beta testing program. A public beta of iOS 12 is not yet available. Separately, Apple has released macOS Mojave dev beta 2 along with updates to tvOS 12 beta 2 and watchOS 5 beta 2. Technically anyone can install iOS 12 beta right now with minimal effort but it is generally not advised to do so unless you’re actually a developer using the release to test compatibility with the new system software. The mere iOS 12-curious are better off waiting for the iOS 12 public beta to debut in the near future, or waiting for the final release later in the year. Users can downgrade from iOS 12 beta back to iOS 11.x stable build, but doing so requires a backup made from iOS 11 before updating to iOS 12, otherwise data loss would occur. 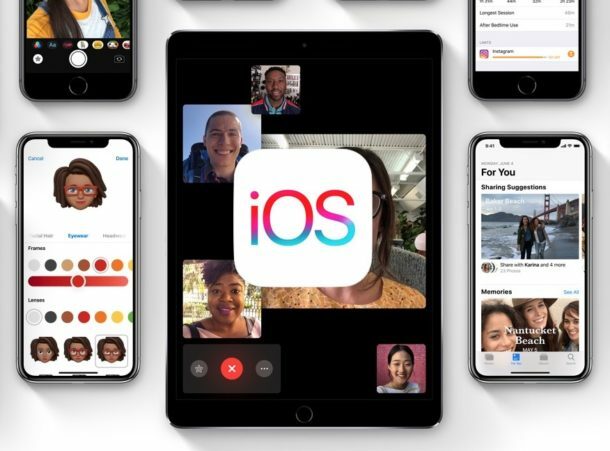 iOS 12 includes a variety of new features, including group FaceTime chat, new Animoji icons, new “Memoji” which is a cartoony avatar generating variation of Animoji, and an emphasis on performance improvements that are said to enhance usability of iPhone and iPad hardware running iOS 12. Apple has said that a final version of iOS 12 will be released in the fall to the general public.